Company of Heroes 2 community stalwart, Matt Dunn, aka ‘A_E’, and a handful of likeminded friends did just that. They took it upon themselves to crowdfund a Grand Championship Series via Kickstarter. Not only did they achieve four times more than their £1400 goal, they earned investment from Relic and the interest of UK based eSports outfit, ESL, to help promote the event. 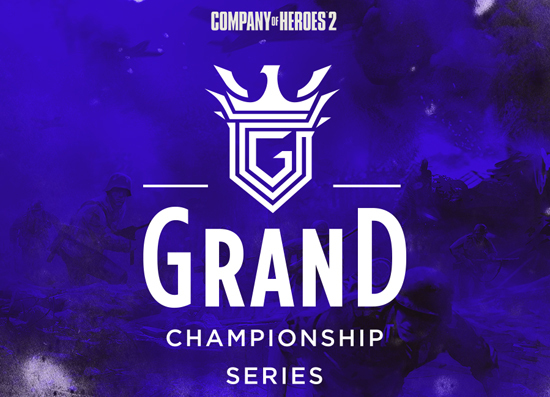 The Grand Championship Finals will take place in front of a live audience at ESL’s studio in Leicester, UK at 2pm BST on Saturday, 1st July and will be streamed live on Twitch on COH2 caster Stormless’ channel where he’ll be joined by ‘A_E’ to host the event. The contestants in the final are two of the world’s best COH2 players, ‘DevM’ and ‘Luvnest’, with the winner set to land £1400. While that might seem like a small amount in comparison to top eSports tournaments, the money was raised almost entirely by the community.